If you’re in need of a new roof, our team is committed to delivering you with exceptional service. 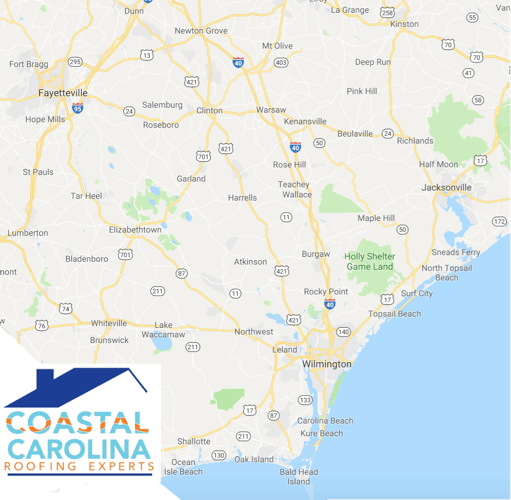 Our roofers serve Jacksonville, Wilmington, Fayetteville, New Bern, Greenville and all Eastern North Carolina communities in between. We’re proud that all of our materials are made in the USA, our crews are reliable and professional and we leave your home as clean as we found it!